Review Context: I am a big fan of the RPG genre, searching for interesting tales to be explored. I haven’t played the great cult classics like Chrono Trigger, though I am no stranger to Square Enix RPGs. I Am Setsuna is an RPG set on a predetermined path. You play as Endir, a stoic mercenary who takes up the task of transporting the sacrifice, Setsuna. The idea is that the story is meant to have a bittersweet ending; one built upon the pretense that your lead heroine is destined to die to help protect the land from the dark powers that besiege it with monsters. The story itself is quite linear in how it wants to deal with its characters and tale. You follow along a set path with no side missions or diverging plot points, making the journey feel almost bland. It is fighting through a mountainside to reach a town to get an ally to learn their backstory and eventually fight the boss. It is purely a repetitious cycle that is only uplifted a little bit by the idea of the world and its characters. The cast and characters are, for the most part, average fantasy RPG characters. You have the loyal warrior princess, the mysterious mage, the warrior with a terrible past and big sword, the pacifist who has optimism enough to spare for the whole world, and the list goes on. These characters can be described by stereotype, yet it is when they come together as an ensemble where the journey can be interesting. They clash on ideals; some have trouble getting along with others and we learn about their individual goals throughout the journey, which makes this predetermined path have some spice to it. They don’t leave the characters alone after introducing them either, having their journeys not just end after their section of the plot stops focusing on them before they join the group. It understands that in order to make you love a character it can’t give you all the information in one go and it helps that it does in fact spread it out a bit over the length of the journey. Setsuna in particular is a good character, as you watch her become a strong and independent person through her trials and tribulations of dealing with a world that needs her dead in order to be safe. Your dynamic with her, as Endir, helps to really sell the bond as you grow to care for her despite knowing what her journey means in the end. 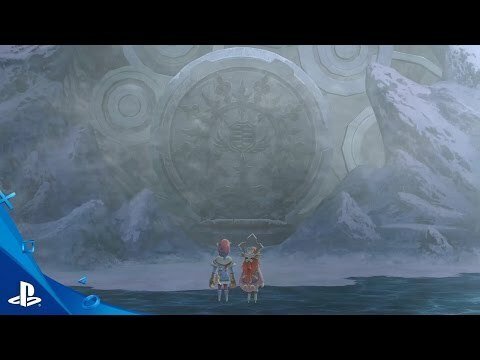 I Am Setsuna plays off this theme of sadness beautifully as you watch how the necessary customs of this world cause misery and despair across the land. Everyone who comes in contact with the sacrifice, past or present, effectively showcases a pain that is intrinsic to the world. The aesthetic helps to play into that same theme as the somber piano playing and snowy backdrops of destroyed villages leave reminders in your mind that your tale will not always be a happy one, focusing on small victories over great accomplishments. The biggest problem however is that I Am Setsuna follows a straight and narrow structure that at times feels like a large slog for how barren the content can be. The repetitious pattern would not be so bad if the overworld wasn’t pointless. The endless world covered in snow is breathtaking in an aesthetic, but when there is nothing to do in the overworld besides walking from destination to destination it can take its toll on one’s patience. Even the optional content within the world itself is pointless, as once you acquire the airship you can travel to the various islands surrounding the continent you are on. These only offer strange little interactions with people that only offer one outcome, which is nothing. They are just there for more aesthetic purposes of creating a world, without giving them meaning within the player’s experience of that world. That is why the world feels vapid, it lacks the ability to feel vibrant and lived in, as with monsters roaming around one would think that you would come across random encounters in the overworld. Yet you do not. The dungeons and the level layouts are always very generic and empty. Whenever you enter into one of the temples, the same old song and dance appears in terms of layout. There are bland “puzzles” meant to pad out the time, when in fact they are easily solved within seconds. I Am Setsuna is plagued by these types of choices to pad out the time of the game as they neither add to the overall gameplay nor create interesting environments to explore. I Am Setsuna follows an active time battle system, where each battle is done in real time and the enemy won’t simply wait for you to decide on what to do. This is as simplistic a set up as you can get with all the traditional RPG battle trappings that you have seen before. The only thing that spices up the gameplay is the Momentum element. Momentum adds on extra abilities to attacks or support spells, like dealing more damage or recovering health, and it is activated by pressing the confirmation button again at some point during the attack. It is never explained well enough and I had to figure out the timings for specific moves, so do not expect the game to hold your hand through the only element that differentiates its combat from other RPG titles. When it comes to the gameplay nothing is out of the ordinary and is quite familiar to those who have played a classic RPG before, even being a good gateway to those who want to give the genre a try. The combat mechanics are nothing to write home about, but never hinder the game in any way. Enemies however are more cause for concern. Not because of how difficult the average enemy is compared to you, but because of the cheap moves they can execute. Having enemies move around creates a sense of flow to combat, allowing you to attack multiple enemies depending on whether they bunch up or not. The active time battle system effectively makes placement of your characters and the enemies have a sense of complexity and always in the forefront of your mind in battle which is an absolute plus. The problem comes from difficulty spikes and cheap moves. Difficulty spikes usually come in the form of various bosses within the game, as you could survive and fight long arduous battles against a difficult boss only to be destroyed due to a combo of moves. One boss has three attack patterns and one of those is a sure-fire way to have one of your party members die. Other bosses could have the move “stop,” which if used on all your members can cause an immediate game over. Add in the ability to cast multiple spells and you can see your game be over in a moment. The bosses are not the only ones with cheap moves, as some enemies have moves that happen after they die and do a lot of damage. Moves like “self-destruct” and “Meteo” can be the bane of your existence, especially in long stretches of the game with no save spots and many creatures that can use that very ability. If you defeat all of the enemies that have the move and the battle ends they still can use their ability which can KO your entire team if there is more than one of them, and you have no chance to react since the battle is technically over and you can no longer use any actions to save yourself. That can happen a few times in the endgame section, and I do not want to use a fogstone every time to escape if I face a “tough” battle that can have me losing in such a cheap way. The enemies for the most part are harmless, yet there will be those moments of hair-pulling involved through some encounters. Customization is at times random, especially when it comes to “flux.” The way you use abilities is by equipping them through Spritnite and besides buying new weapons and accessories, that is as far as customizing your characters goes. There is nothing specific or unique about it, or even a sense of depth, besides the flux mechanic, which happens at the end of battle sometimes if conditions are met. These fluxes can add on extra abilities to your Spritnite, but only specific abilities related to the accessory you have equipped. Since fluxes are not common in battle, especially when weaker enemies are involved and the battles are short, a lot of the time you don’t see the difference these fluctuations make to the effectiveness of an ability. A lot of it feels superfluous in the way of cosmetics for the game, and since there is no class changing system it makes the customization section of the game basic and almost non-existent. Atmosphere is the one thing I Am Setsuna has in droves. Every aesthetic and soundtrack coalesces into this somber tone that creates the identity of this desolate winter wonderland. 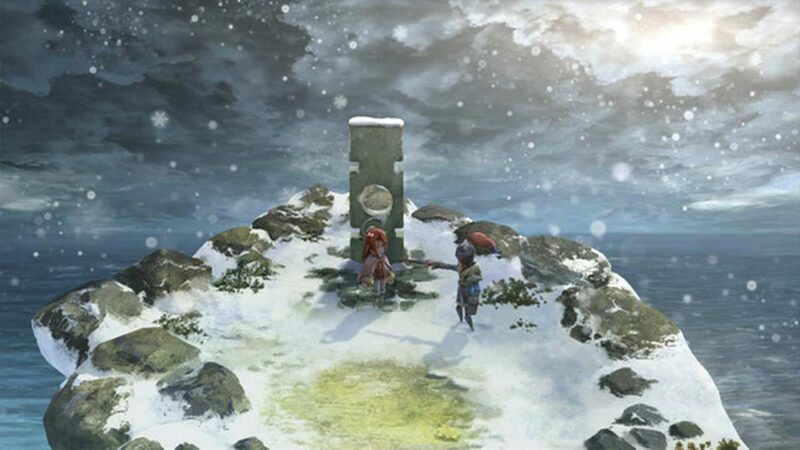 Sometimes the distinct lack of variety in scenery can be a bit bland and uninspired, yet I Am Setsuna creates a very distinct world from the loneliness of that one aesthetic. The desolate towns destroyed by monsters and blanketed by a white snow, the tall white capped mountains, and the towns cowering in fear from monster attacks helps to accentuate the entire tone of the series as this somber tale that unravels in a world covered in a strong sense of isolation and sadness. Tomoki Miyoshi’s soundtrack of only piano music helps to easily tie the whole world of I Am Setsuna together. It creates a very distinct and memorable soundtrack only utilizing piano for each song, creating a feeling of sad isolation with its lonely notes. There is no denying that the aesthetics and audio design of I Am Setsuna is its most defining feature, even if it is moot compared to how bland and basic the actual tale can be. 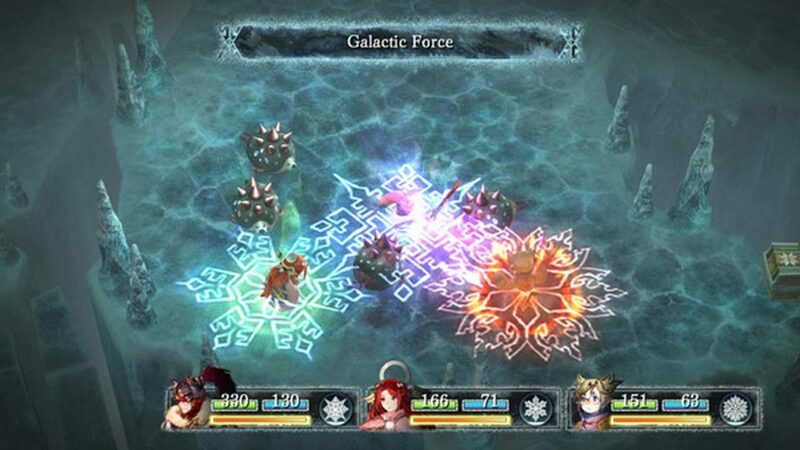 I Am Setsuna suffers from a linear, but repetitive play style easily makes some of its longer sections a slog to get through the numerous enemies on the map. It has simplistic and generic design schemes of dungeons and their layouts with easy common enemies with difficulty spikes swarming out of nowhere. The cast is certainly the best part about it, especially Setsuna and her story, yet the vehicle it was told in has too many lulls and generic storylines to really help create an RPG veterans would desire to play. It is however a good gateway game into the RPG genre, offering a great cast of characters to enjoy and a familiar tale to allow them to ease themselves into more wilder stories further into the genre like its inspiration, Chrono Trigger. 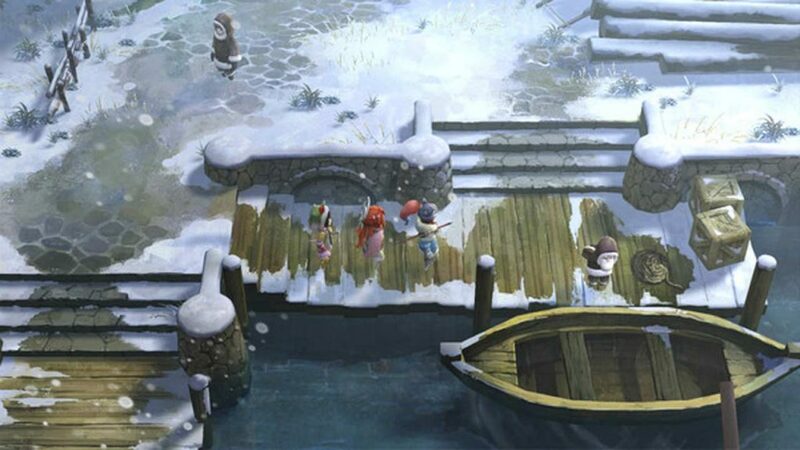 Does I Am Setsuna scratch the itch for more experienced fans desiring an interesting RPG story? I would say no, as it never manages to differentiate itself enough in an already bloated genre filled with infinitely better stories told with more diversity and better worlds to explore with actual content in them to explore. I Am Setsuna is a beautiful world that lacks substance, better to be looked at rather than played.